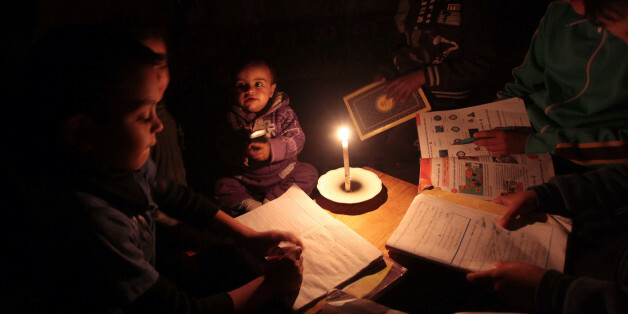 The Palestinian Prime Minister based in the West Bank announced Wednesday resumption of payment of Israel-supplied electricity in Gaza enclave nearly six month after refusing to foot the bill and leaving the strip in nearly complete darkness. Last June, Mahmoud Abbas’s PA in a move to squeeze Islamist movement Hamas ruling the enclave refused to pay bills for the electricity supplied by Israel. The move cut off electricity by some 50 megawatts leaving thousands of houses dependent on fours of electricity per day. The shortage also exasperated the humanitarian situation in the Palestinian territory. Hospitals have had difficulties to operate. Abbas also cut off the oil supply forcing Hamas to turn to Egypt which funneled thousands of the gas oil to be sued to run a local plant. Prime Minister Rami Hamdallah told WAFA news agency that the decision to resume the payment is part of Abbas’s plans to reunify Palestine and alleviate the suffering of millions of Gazans. “We affirm that we will not hesitate for a moment in shouldering our national responsibility for the people of the Gaza Strip, and we will make every effort to strengthen their resilience and improve their quality of life in order for them to confront the challenges they face,” he added. Hamas and its rival Fatah which dominates the PA and other groups have embarked since October on a reconciliation process overseen by Egypt. Hamas has relinquished the control of Gaza borders to the PA. It has also allowed the return of PA minister a decade after driving them out. Talks have however stripped over the future of Hamas’s weaponry. The Islamist movement has refused to disarm. Written by: KanelkaTagba on January 4, 2018. Posted by KanelkaTagba on Jan 4 2018. Filed under Headlines, World News. You can follow any responses to this entry through the RSS 2.0. Both comments and pings are currently closed.